Indispensable tools for professional-looking slices. Now you can create a beautiful presentation of sliced roast, ham, turkey, cheese or bread. Hamilton Beach® Electric Knives feature two serrated stainless-steel blades that rapidly move back and forth to create even slices of any thickness. 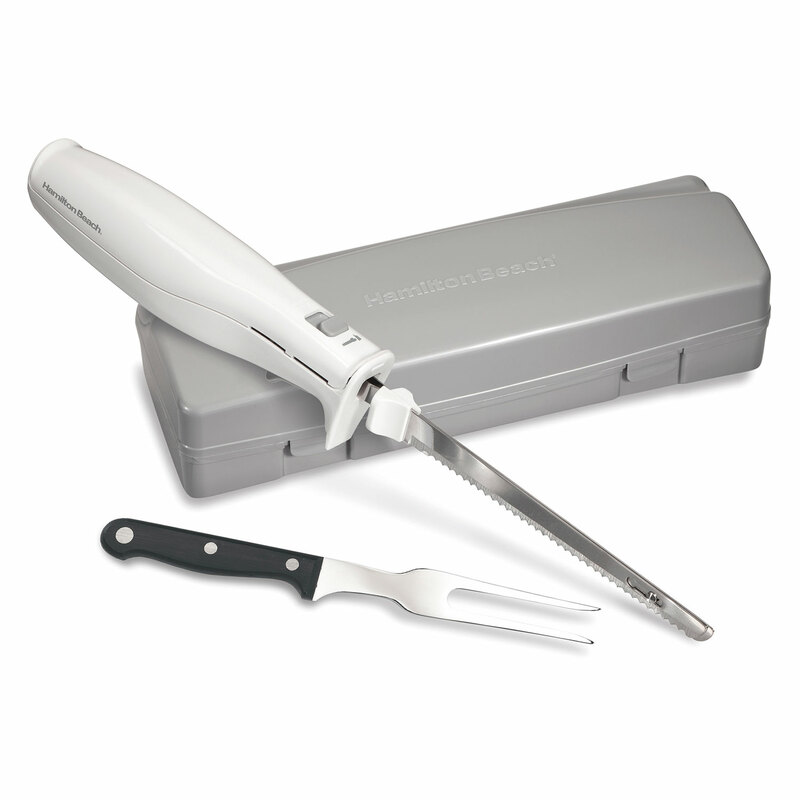 Whether you're carving the Thanksgiving turkey or slicing ham and cheese for sandwiches, Hamilton Beach® Electric Knives let you slice like a pro with little effort. 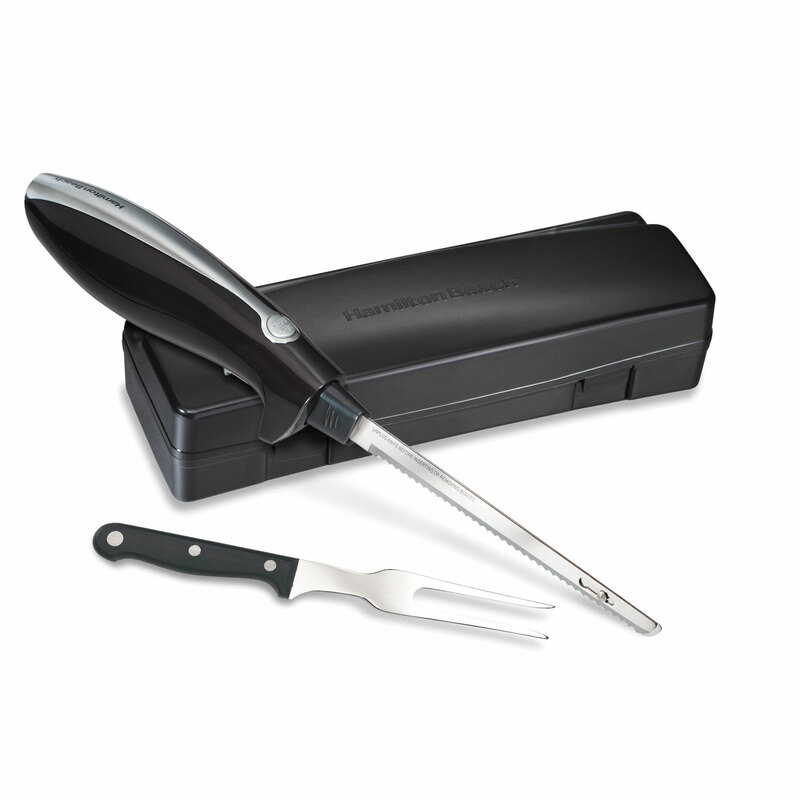 These popular electric knives have comfortable handles that are easy to grip, and some models include a carving fork and compact storage case.